December 5, 2010, is a day I remember well. Two years ago, my honey, Joan, went to Heaven. Heaven is a wonderful place and I think a lot about it. What a hope for all of us who believe Jesus died on the cross and rose again that third day. We will celebrate one day with our Lord. We had a perfect Tree Lighting ceremony here at the office on her homegoing anniversary. Last year, we brought Joan’s Christmas tree from home to the office to celebrate each year by lighting it for all to share. She always looked forward to decorating the tree each year. It was so beautiful in our living room with all the ornaments, angels, crosses and lights. No, we are not trying to make Joan a saint, but we are trying to make sure that her legacy lives on. We want you to know just how much she meant to Premier. She loved each of you and I know you could feel her love. Her mission in Premier was to make sure that each of us knew to Keep It Personal. She was always doing something to make sure she was keeping it personal too. She was greatly loved and will always be remembered. It was so great to celebrate her life and impact with some of her family, closest friends and area Premier Family on December 5th. It really was a special day of remembrance. Yes, she is missed, but we will never forget the role she played in Premier. 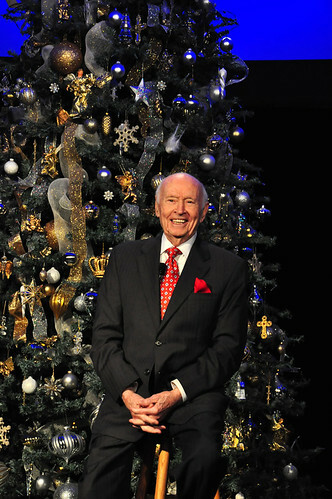 Andy shared Christmas memories of Joan at the second annual lighting of her Christmas tree at the Home Office. 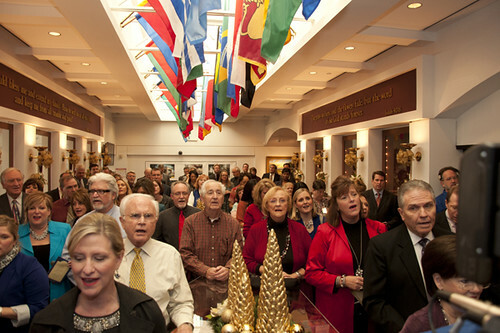 Guests joined in singing Christmas carols. 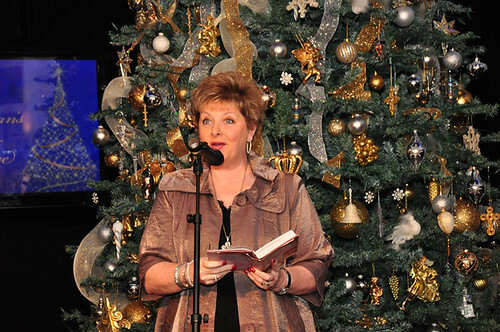 Diamond Executive Director Elizabeth Draper reads from Joan’s Keeping It Personal devotional book. Thank you so much for sharing your Christmas message with us, and for the wonderful Christmas tree charm to make us a part and help us remeber Joan and her love of this holiday.